IRVINE, Calif. – From twisting trails to desert dunes, millions of Americans will celebrate the upcoming Memorial Day weekend by swinging a leg over their ATVs for the first time this year. With more than 35 million riders operating over 10 million ATVs across the U.S., understanding the importance of safe and responsible riding techniques is essential. Both riders and non-riders can benefit from knowing the fundamentals to keep themselves, their friends and their families as safe as possible. The ATV Safety Institute urges all riders to follow the warning labels on each vehicle, never ride on public roads or under the influence of alcohol or other drugs, and not carry a passenger on a single-rider ATV. Of course, riders should always wear a helmet and other protective gear. Young riders, who often have more time to ride in the summer due to free time away from school, are especially vulnerable to certain types of crashes when not following proper safety rules. Nearly 90 percent of youth ATV-related injuries occur when a youth is operating an adult-sized ATV. Parents should supervise children under the age of 16 at all times while they operate an ATV, and manage when the vehicle can be used by removing the ignition key. By controlling the means to start the ATV, parents are literally holding the key to their child’s safety. 1. Always wear a helmet and other protective gear. 2. Never ride on public roads – another vehicle could hit you. 4. Never carry a passenger on a single-rider vehicle. 8. Take an ATV RiderCourseSM; call toll-free at (800) 887-2887 or go to www.atvsafety.org to register. Or take the online e-course at www.atvsafety.org. The ATV Safety Institute encourages families to talk about household rules for ATV riding so that everyone in the family can prepare for a safe, fun summer. The All-Terrain Vehicle Safety Institute® develops rider training programs and promotes the safe and responsible use of ATVs. The ASI works to reduce crashes and injuries resulting from improper ATV use. Formed in 1988, the ASI is a not-for-profit division of the Specialty Vehicle Institute of America®. For safety information or to enroll in the ATV RiderCourseSM nearest you, visit www.atvsafety.org or call (800) 887-2887. The Specialty Vehicle Institute of America® promotes the safe and responsible use of all-terrain vehicles through rider training, public awareness campaigns and state legislation. Additionally, the SVIA works to preserve access to off-road lands and expand riding opportunities. The SVIA is a resource for ATV research, statistics and vehicle standards. Accredited by the American National Standards Institute (ANSI), the SVIA develops standards for the equipment, configuration and performance requirements of ATVs. Based in Irvine, Calif., the SVIA is a not-for-profit industry association sponsored by Arctic Cat, BRP, Honda, Kawasaki, KTM, KYMCO, Polaris, Suzuki, Tomberlin and Yamaha. Visit the SVIA online at www.svia.org. 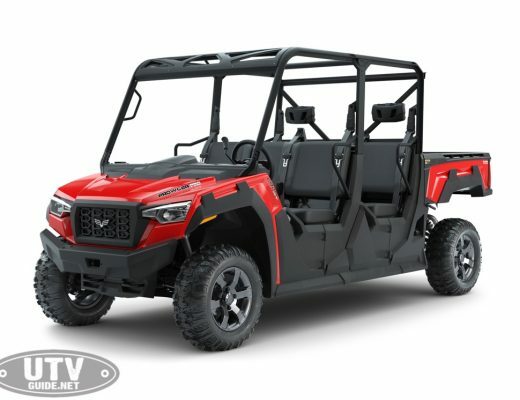 For safety information or to enroll in the ATV RiderCourseSM nearest you, visit www.atvsafety.org or call (800) 887-2887.